So you might have heard about this awesome website called Wikipedia. It’s the sixth most viewed website worldwide. It is where most people find out information about the weird in the world. I’m going to explain a Wikipedia editing technique that I call Backwards Editing and how you can help out without joining my Guerrilla Skepticism on Wikipedia (GSoW) project. Essentially backwards editing means taking an existing citation that you have run across in a noteworthy source, and then adding it to a current Wikipedia article. You may never have heard of the Wikipedia page you are about to edit, which makes this a lot more interesting. This is usually the opposite way a traditional Wikipedia editor would work. Normally an editor will start with a Wikipedia page and look for citations that can be used on it. Backwards editing appeals to editors with limited time. This style of editing can be used to improve the exposure of publications like Skeptical Inquirer as well. If the Wikipedia edit is well written, the reader will be curious and want to continue reading about the topic, follow the citation, and learn about our people and publications. I call this preaching beyond the choir. This is what it comes down to and the reason for this article, we have an enormous amount of content in journals, books, lectures, and such, all accessible, and most are citable by Wikipedia standards. They need to be found and used to educate. Getting the scientific skepticism message beyond our choir should be everyone’s goal. Looking at this globally, only a very small percent of the potential readers of SI are even aware of its existence. Every month at my local skeptic meet-up we get a new member who states “I didn’t know that there was a community or podcasts or magazines. I had no idea it was a ‘thing’ until the other day when I found out by accident.” I know that seems hard to believe, but everyone started somewhere, and the majority of people reading this right now probably found SI through a friend or found a mention of it somewhere, often by chance. It is even very possible you discovered SI while reading an article on Wikipedia. We need to do a better job getting our publications, our podcasts, and our spokespeople mentioned in places that people are visiting and hopefully curious to learn more. Wikipedia is the perfect venue; we just need to make sure the edit exists. We skeptics like examples, so let me throw out a few for you. Research Fellow for Skeptical Inquirer, Ben Radford’s book Mysterious New Mexico is a terrific example of a great source for backwards editing. The chapters are complete investigations into the weird of New Mexico. The chapters are well cited with sources. Each chapter can be summed up and used as a citation for a Wikipedia page. Taking the first chapter of this book, ”Phantom Performances at the Haunted KiMo Theater,” I am able to read it through a few times taking notes of the more relevant conclusions and quotes, and then add them to the Wikipedia page for the KiMo Theater. Of course you would need to read through the Wikipedia page to make sure that the information you are about to add is relevant and improves the page. In this case the current Wikipedia page had only three sentences mentioning the hauntings. Using the research by Radford (and co-investigator Mike Smith), I am able to expand the haunting section of the article. I am able to mention several of the more popular stories and how the investigation was able to break down each account and end with this, “Radford concludes that the ghost story is ‘overactive imaginations, factual errors… standard ghost lore… misguided ghost-busters.. [with the] story … [being] told and retold … each iteration adding or omitting details without anyone bothering to check the facts’” I am also able to explain how the real-life family of this “ghost” have been “haunted” all these years with stories of their little brother eating donuts and disrupting the performances. They are not amused. Browsing through my stacks of SI magazine, I found a sweet little article about a mysterious meteoroid that was reported to have landed in 2009 in an area called Chalk Mountain in Texas. I read over the SI article that was written by Manfred Cuntz and published in 2012; it is engagingly written and about a topic I know very little about as I’ve never heard of Chalk Mountain. I searched Wikipedia first to see if there is a page that exists for a Chalk Mountain meteoroid and found nothing. I did find a page for the place Chalk Mountain, Texas. Very little was on the page, only a few paragraphs, a map, and an info box with all the general demographics that normally exists. No mention of the meteoroid was on the Wikipedia page. What I do know is that I have a noteworthy citation in front of me. 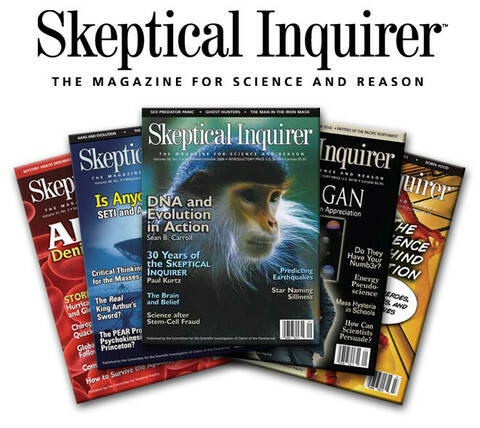 Skeptical Inquirer is considered one of the many reliable sources that Wikipedia editors are allowed to use. So here is a great citation that should be shared with others outside the skeptic community. The next part of deciding how to word the citation is really the time-consuming part. After you have done this a few times, it really isn’t something that should take more than thirty minutes to write. Knowing where to insert it on the article is usually obvious, and adding the citation is easily done with a template that lives on the Wikipedia edit screen. Now visitors to the Chalk Mountain, Texas, Wikipedia page are treated with a lot more than what the zip code and climate is. To know what that is, I won’t give it away here, you will just have to read the Wikipedia page yourself. Not always will a backwards edit fit cleanly into a Wikipedia article, it is a matter of opinion in some cases, and if you are unsure it is possible to discuss the edit first on the page’s Talk Page. That is a tab on the top left side of every Wikipedia page. This is where editors discuss with each other how to best create the page. But in the case of the less-viewed pages like the KiMo Theatre and the Chalk Mountain Wikipedia pages, if I left a message on the talk page, it might be weeks or years before someone noticed and responded. One tenant of Wikipedia is to “Be Bold.” Make the edit; if you do something wrong it can easily be removed or revised. This is not a print encyclopedia after all. Reading through the Wikipedia page for The Queen Mary, down at the bottom of the page I noticed a section called “Rumors of hauntings.” There were already three paragraphs about the supposed spooky occurrences that are reported on the ship. Champion had done a great job in my opinion of making the argument that the real history of the ship is much more interesting than supposed ghost sightings. For the owners to promote ghost tours is an insult to the real people who built and sailed the ship. It was a simple matter to add the SI article to The Queen Mary’s Wikipedia page, with the citation that links back to SI for those interested in learning more. This style of editing is really just a matter of browsing through notable magazines, podcasts, books, and journals, and then finding a way to add them correctly to an existing Wikipedia page. If you can manage to do as the examples above and insert skepticism onto a page that would normally have no ties to the world of the weird, then even better. Skeptical Inquirer has a potential of hundreds of Wikipedia edits in each issue. It just requires someone to add them in. Of course this might be overwhelming for most people, the GSoW project teaches this skill during training. We coach and mentor all the way through, and no edits are made live until they have been checked and approved by more senior editors. But you don’t really need GSoW to make these kinds of edits. I learned to do this completely on my own and with some trial and error so can most people. I know there is a small segment of our community that thinks only certain people with the right criteria and expertize should be venturing into anything that looks like activism. I disagree; new voices, new ideas, and energy is what we need. There is no guard; there is no approval needed to become an activist. The one who speaks of activism is the one speaking. If you are waiting for someone to tell you it’s time to venture out and do those activities that you think might get more critical thinking into areas that need more critical thinking, then I wave my magic fairy wand over you right now to do it. Learn from your mistakes and improve what you are doing. Seek out wise people; take opinions but don’t let your feet become clay and find yourself doing nothing. Editing Wikipedia is only one of many avenues you can do to educate beyond the choir. This is just my preferred choice of activism. Daniel Loxton and Tim Farley advocated that Wikipedia was where we needed to concentrate our efforts. It is a very effective way of doing so, but it is not the only way. If you are thinking that you would like to join a team of like-minded people who love research and citations and like to spend time in front of their computer keyboards and consider it fun, then please go to our YouTube channel and listen to a few of the interviews I’ve done with my editors. They will tell you what to expect in training and afterward. They will tell you in their own words why they feel passionate about this project. If after listening to them you are still interested, please write to us at GsoWteam@gmail.com.